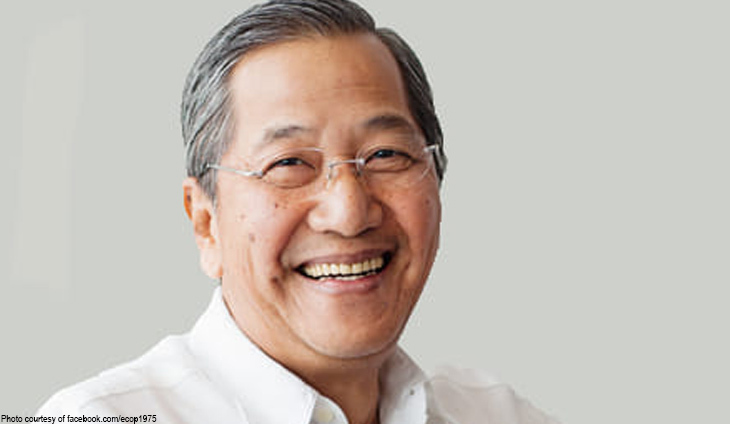 The Employers Confederation of the Philippines (ECOP) announced the death of its current president, who is also holding key positions in industry associations as Honorary Chairman and Chief Operating Officer of the Philippine Chamber of Commerce and Industry and Founding Trustee of the Philippine Business for Education. “The business community lost a passionate champion and leader, a stalwart in the industry, and a staunch advocate of and for employers,” the ECOP said. Dee also served as special envoy for trade negotiations for former President Gloria Macapagal-Arroyo, and was a former member of the ASEAN Business Advisory Council (ABAC)-Philippines. Dee led companies like the Pan Pacific Airways and Phoenix Resource and Management Corp., while he prevously served as commissioner of the Social Security System.